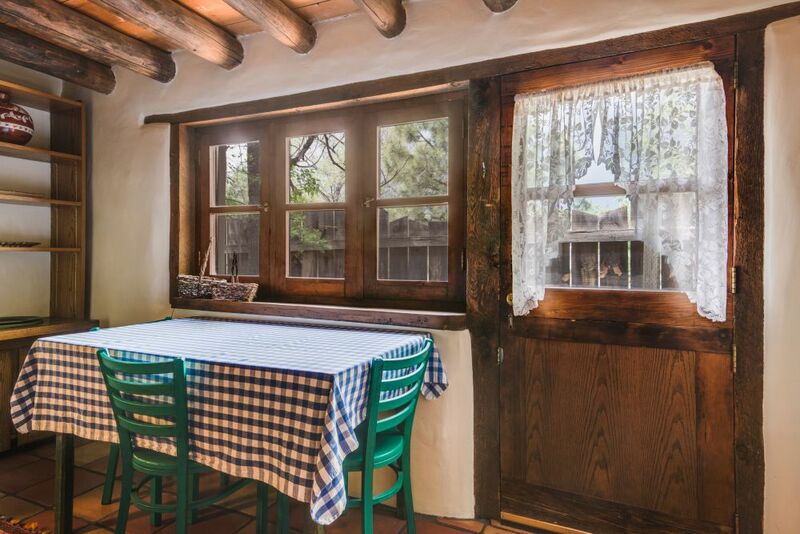 This Eastside residence has history, charm, and comfort. 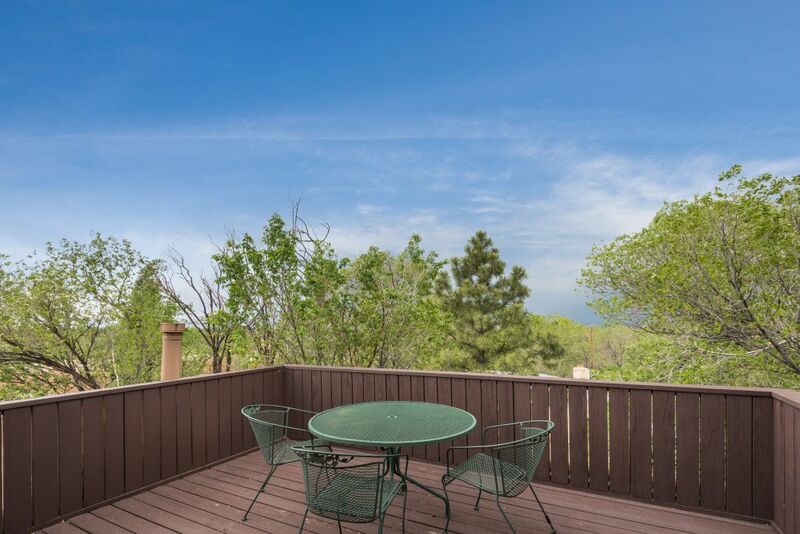 Meticulously maintained, it is currently divided into two separate living spaces. 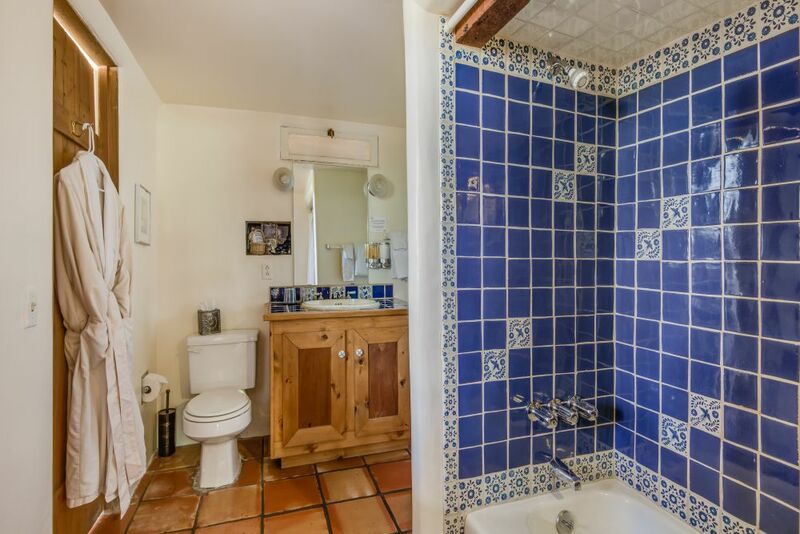 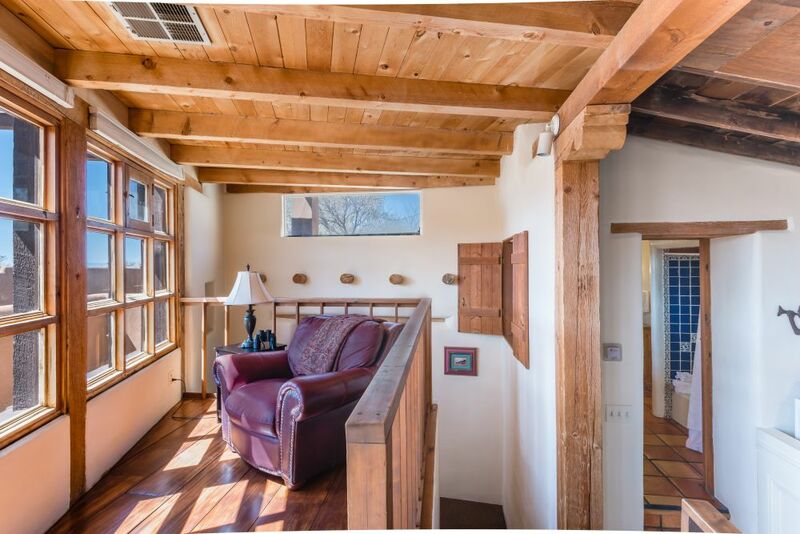 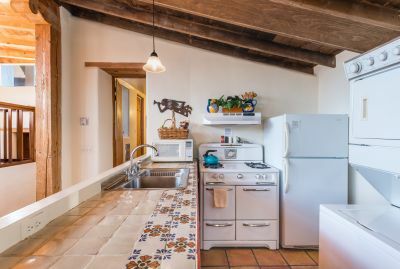 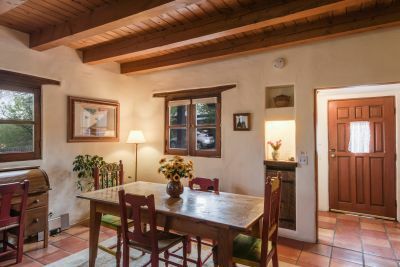 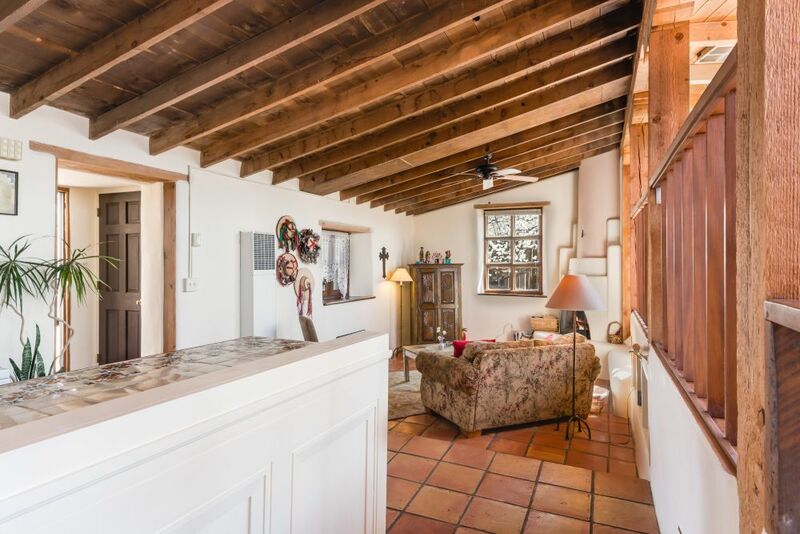 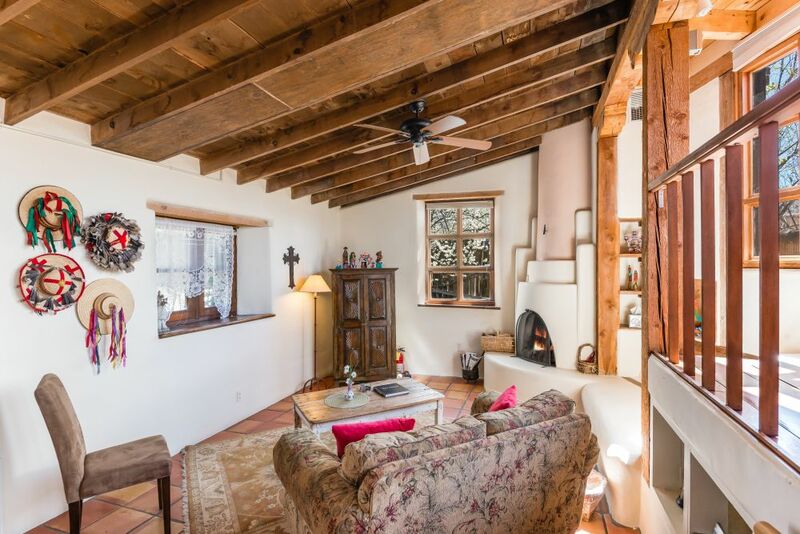 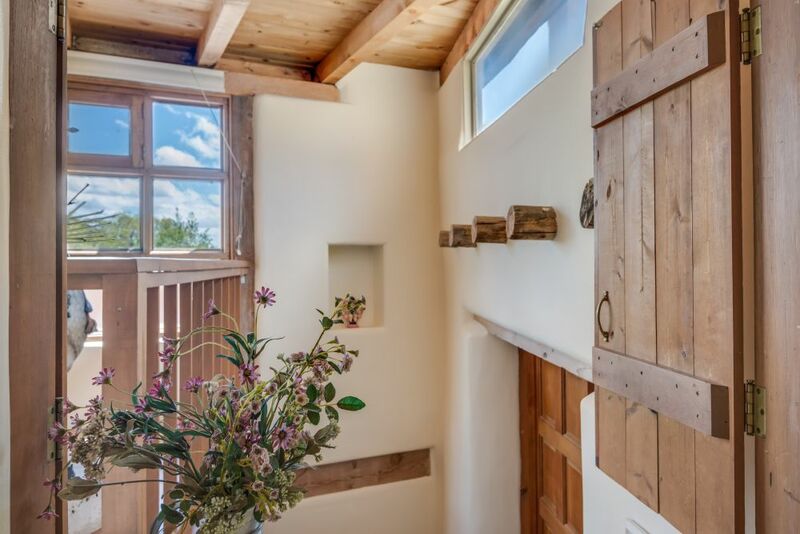 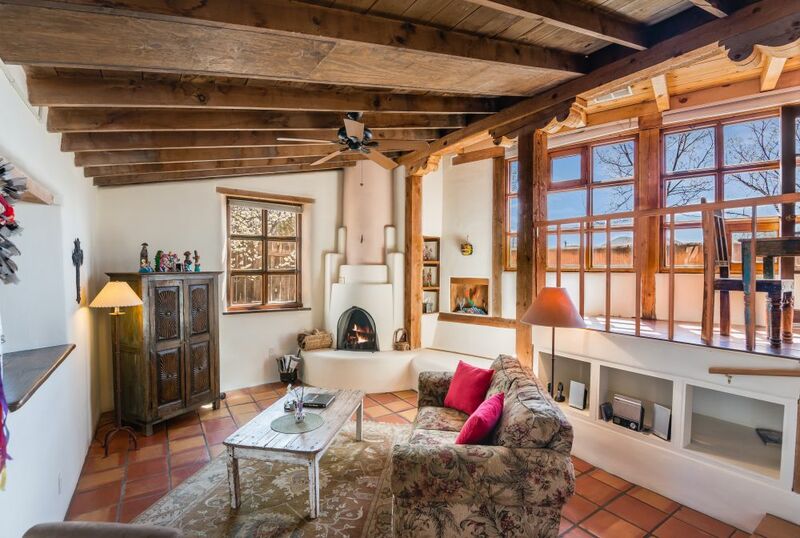 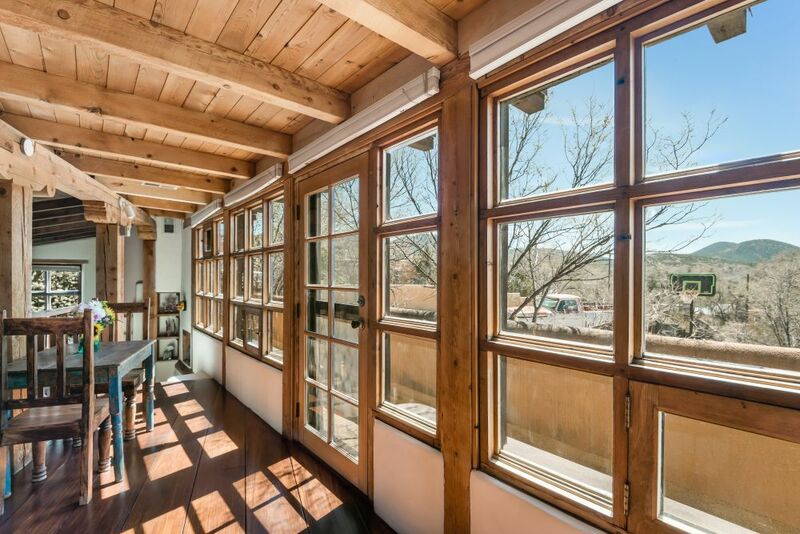 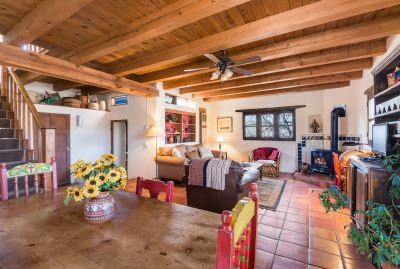 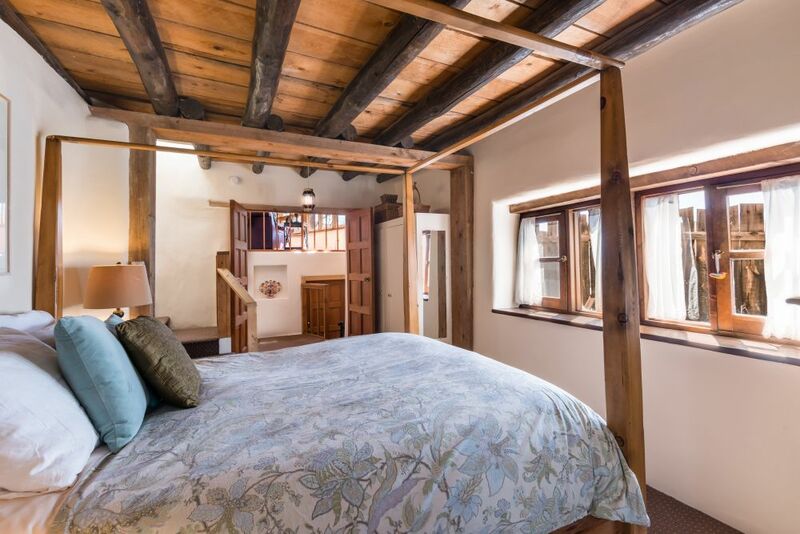 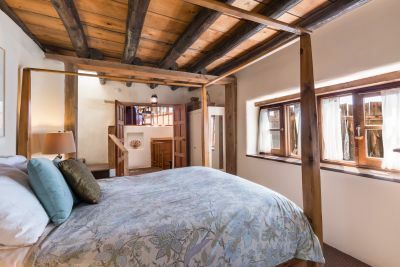 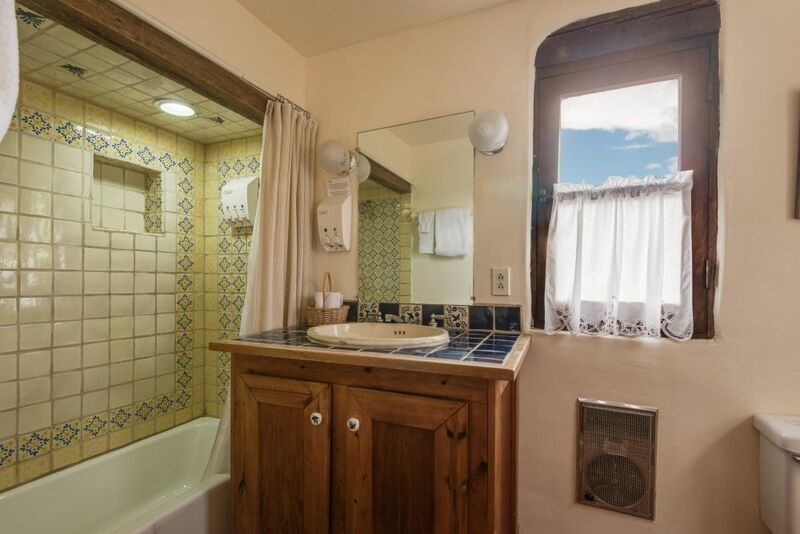 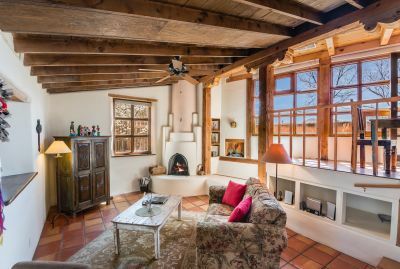 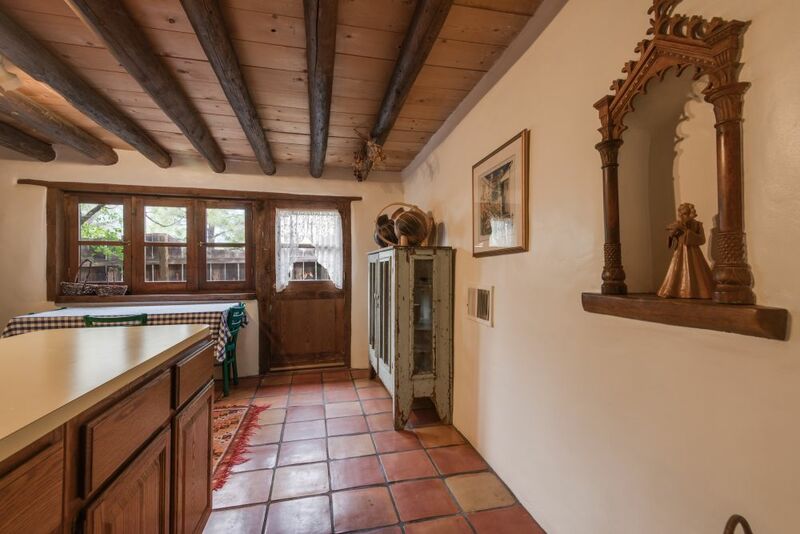 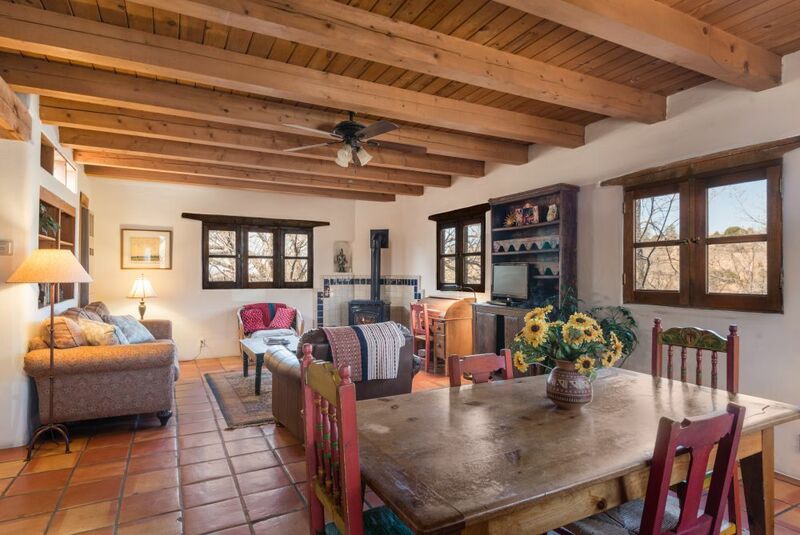 Both have vigas, beams, saltillos tile floors, nichos, and beautiful wood windows. 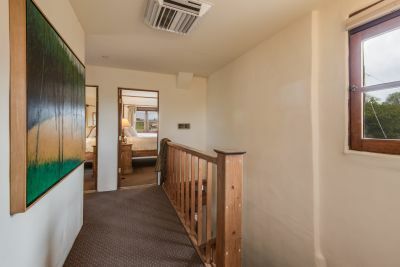 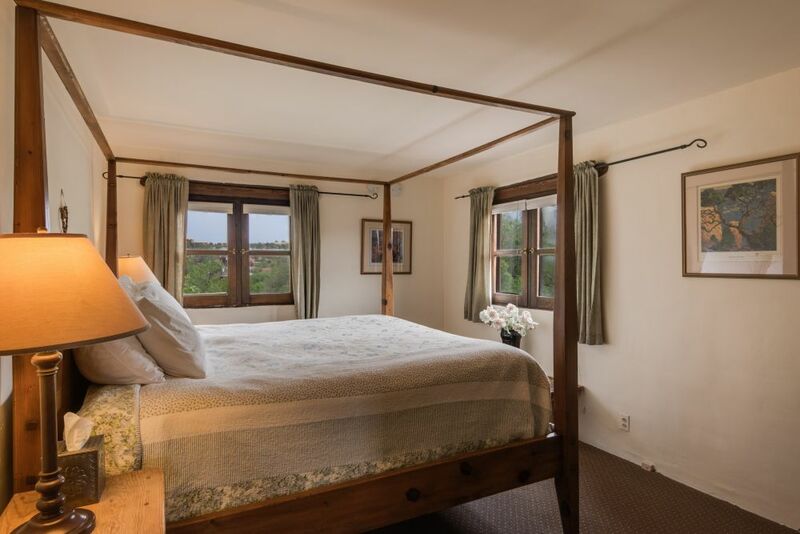 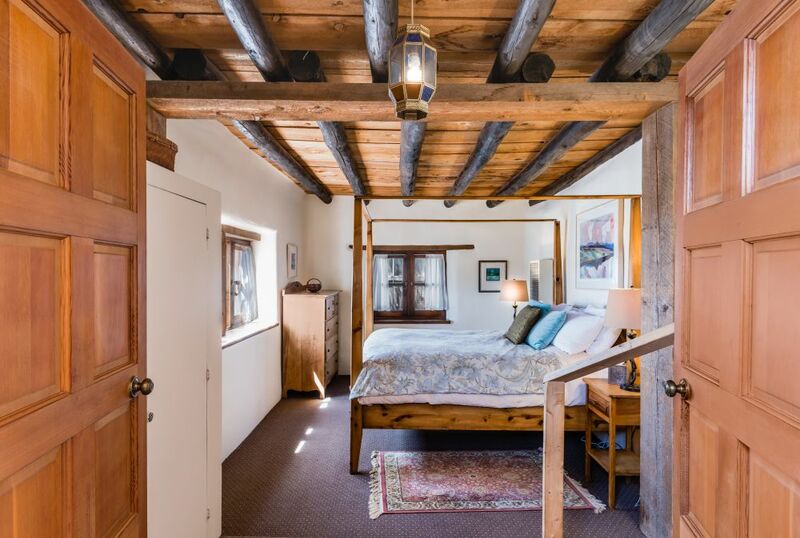 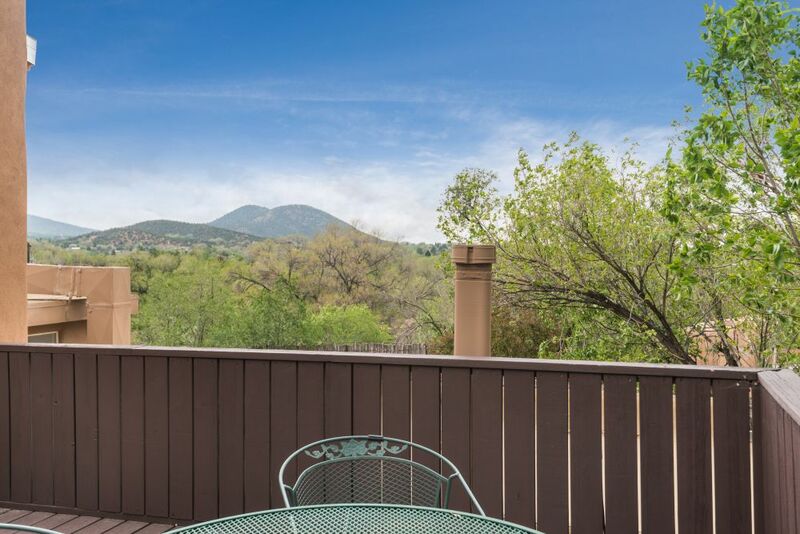 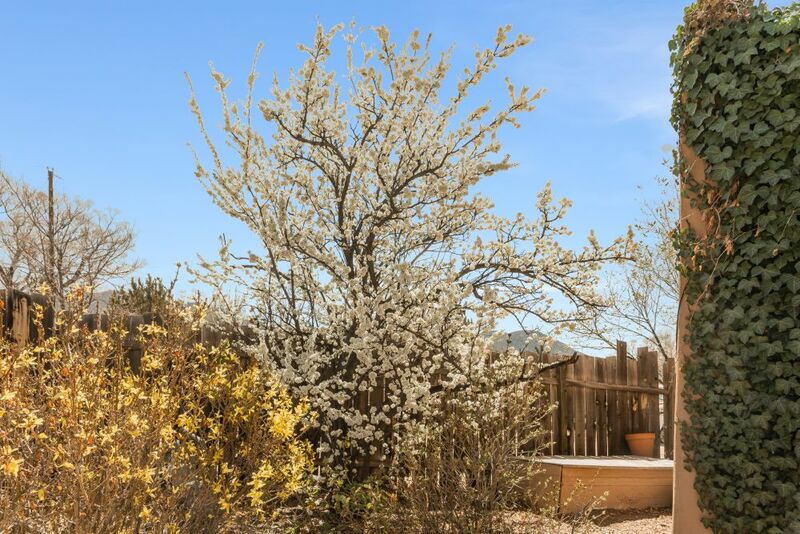 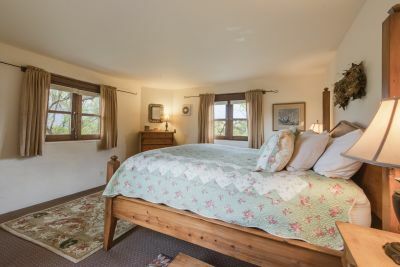 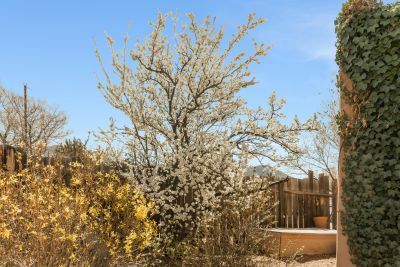 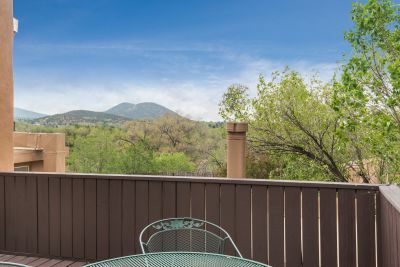 The two bedroom/ one bath, has a spacious living area, and 100+ year old kitchen with a dutch door, and mountain views from the second floor deck. 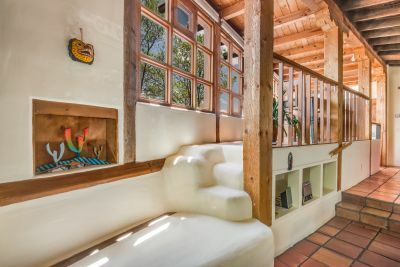 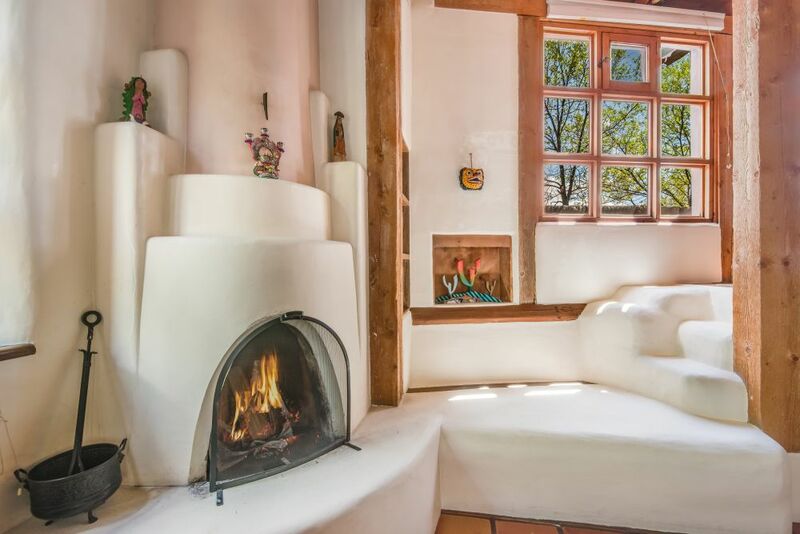 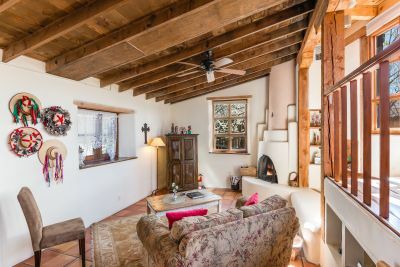 The other side is a one bedroom/ one bath, with a kiva fireplace and banco, a raised sitting/ dining area with a wall of windows filling the living room with light. 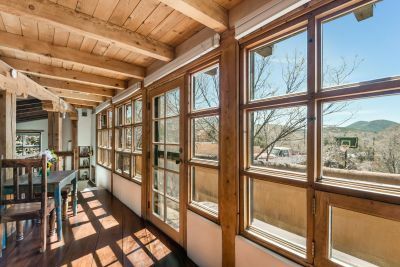 Easily converted back to a single residence, or continued as a highly regarded rental property, this flexible floor plan offers many possibilities. 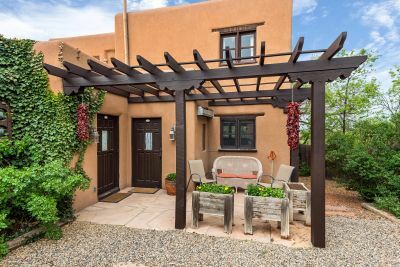 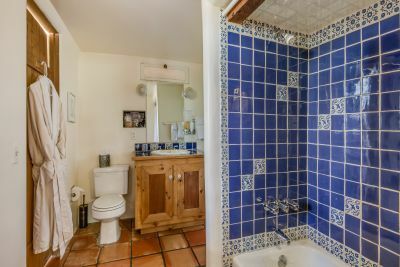 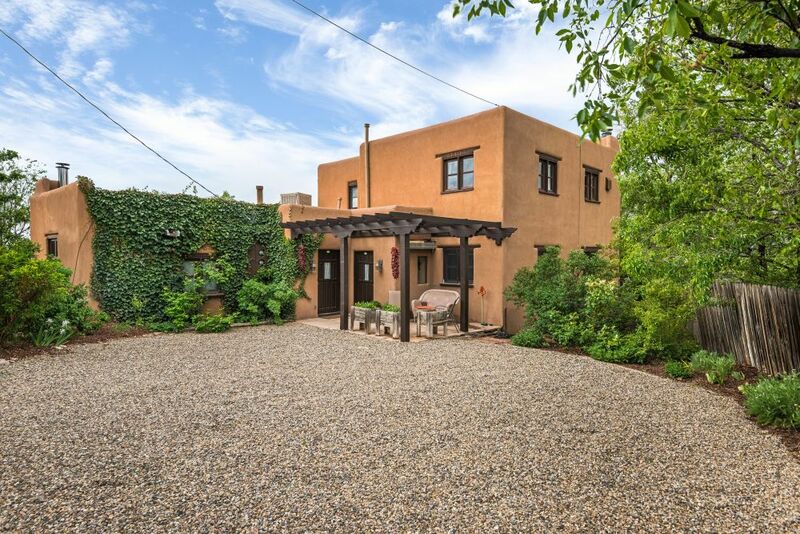 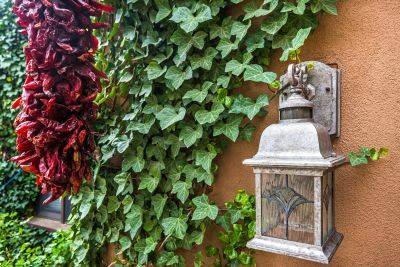 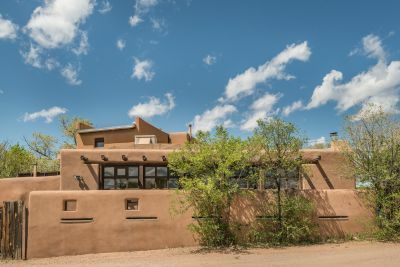 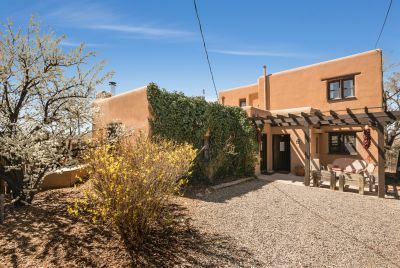 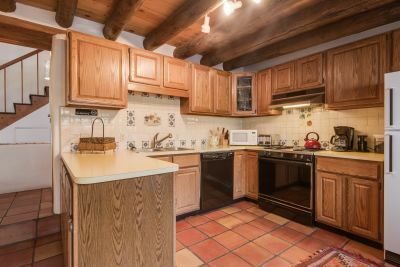 Wonderful location, walking distance to the the Plaza, Santa Fe River, Canyon Rd.